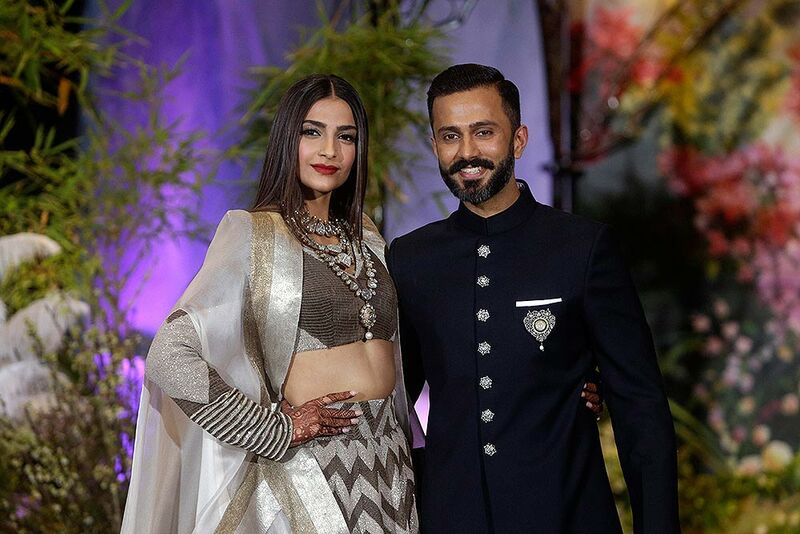 Bollywood actress Sonam Kapoor, left, and her husband Anand Ahuja pose for photographers at their wedding reception in Mumbai. 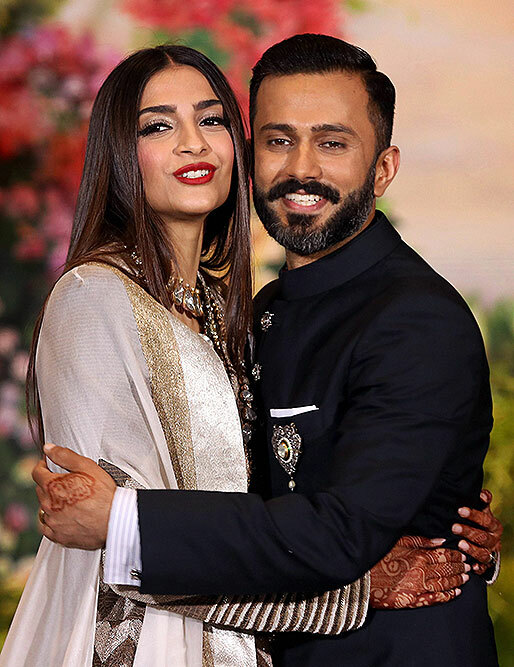 Actress Sonam Kapoor with her husband Anand Ahuja pose for a photograph during their wedding reception in Mumbai. 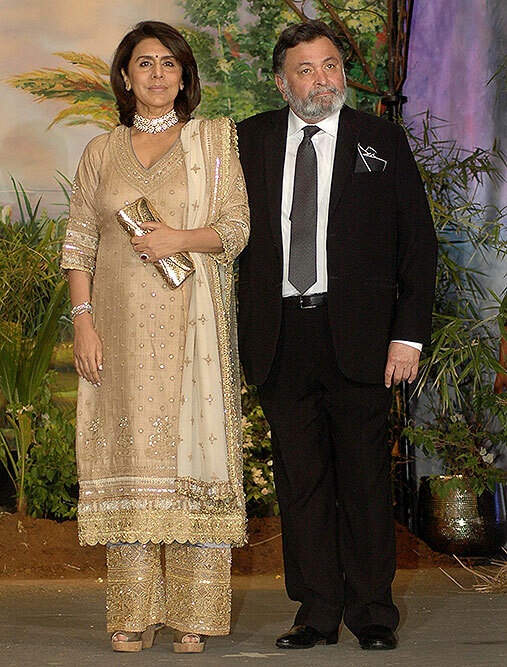 Actress Swara Bhaskar attends Sonam Kapoor and Anand Ahuja's wedding reception in Mumbai. 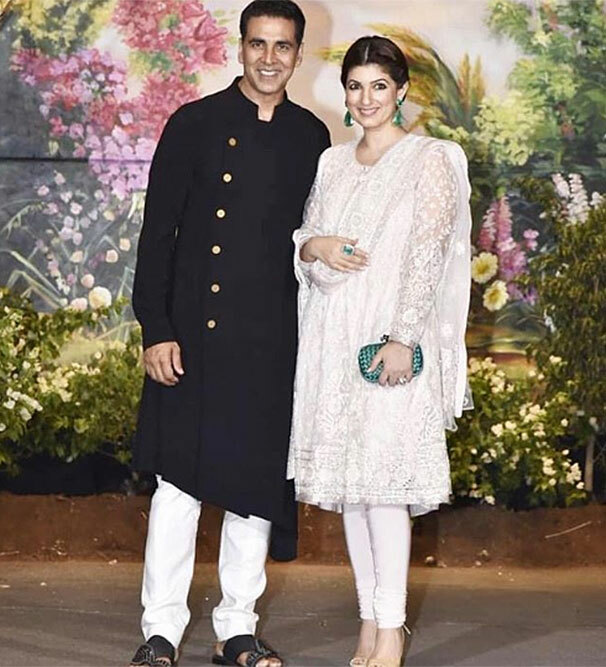 Bollywood actors Ranbir Kapoor and Alia Bhatt pose for a picture during the wedding reception of Bollywood actor Sonam Kapoor and businessman Anand Ahuja in Mumbai. 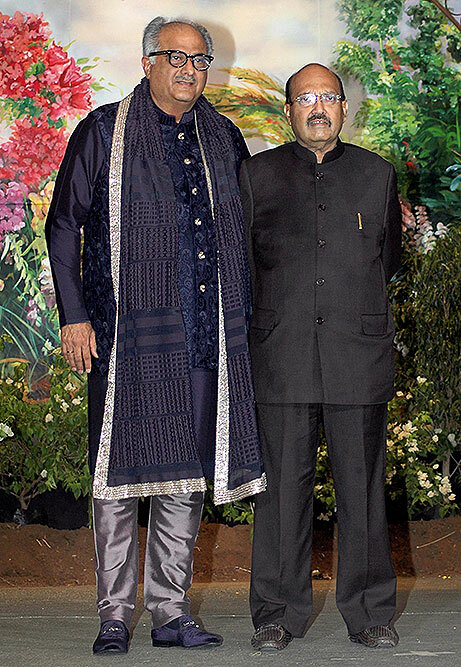 Bollywood actor Rekha poses for a picture during the wedding reception of Bollywood actor Sonam Kapoor and businessman Anand Ahuja in Mumbai. 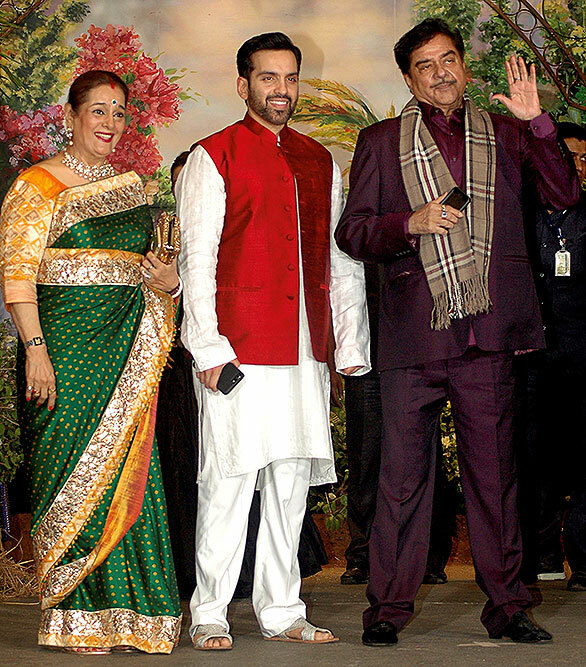 Bollywood actors Karisma Kapoor (L), Saif Ali Khan (C) and Kareena Kapoor pose for a picture during the wedding reception of actress Sonam Kapoor and businessman Anand Ahuja in Mumbai. 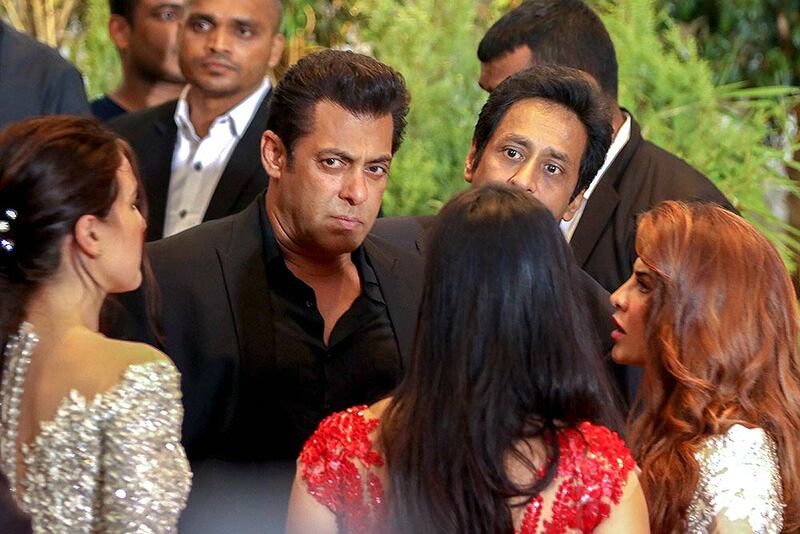 Bollywood actor Salman Khan looks on during the wedding reception of Bollywood actor Sonam Kapoor and businessman Anand Ahuja in Mumbai.